Commissioner Bernard R. Cohen, Sr. began his criminal justice career with one of the largest state agencies in Florida and the fourth largest prison system in the country, the Florida Department of Corrections (DOC). During his 33 year tenure with DOC, Commissioner Cohen served six agency heads and held a variety of executive positions that supported the department’s mission and vision. A lengthy and varied career along with his education and training has provided him with extensive criminal justice experience. Commissioner Cohen received his Bachelor of Arts degree in Psychology from the University of Florida and his Master of Science degree in Criminal Justice from Rollins College. In 1980, Commissioner Cohen continued his service with DOC working as a Deputy Circuit Administrator, where he supervised and managed correctional probation services covering North Florida Counties. Throughout the years Commissioner Cohen held numerous positions that expanded his expertise of the criminal justice system including, Deputy Assistant Secretary for Education and Job Training, Deputy Director of Program Services, Chief of the Bureaus of Staff Development, and Programs, Assistant to the Secretary, Deputy Circuit Administrator and Inmate Classification Supervisor. In his diverse roles, Commissioner Cohen had broad responsibility for multi-million dollar budgets, numerous staff, policy development, program planning and has represented DOC’s Secretary on a variety of boards and commissions. 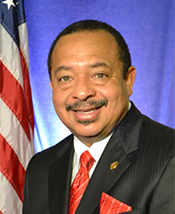 During his career, Commissioner Cohen developed a reputation for being a highly skilled program director and criminal justice executive, overseeing a number of innovative and effective inmate and staff programs and services. He established and managed three corrections academies and developed and implemented computer-based training programs and an organization-wide distance learning network for more than 27,000 staff and 90,000 inmates. Other major accomplishments included overseeing the research and development of a comprehensive interactive instructional inmate transition program. He also negotiated and managed contracts for faith-based transitional housing, substance abuse treatment and community-based programs for released inmates and offenders under community supervision. He negotiated and managed a multimillion dollar grant and contracts for a national inmate educational services program that was licensed to other correctional systems throughout the United States. After his long service with Corrections, Commissioner Cohen retired and joined the quasi-public sector as Director of Training and Vice President of Corporate Administration with Citizens Property Insurance Corporation in January, 2007. Additionally, he is a graduate of the Senior Leadership Program at the Florida Criminal Justice Executive Institute. Commissioner Cohen has been affiliated for a number of years with the Florida Council on Crime and Delinquency, serving as State President, Chapter President and Executive Board Member. In addition to his criminal justice career and professional affiliation, Commissioner Cohen has found time to serve his country as a Captain in the United States Army Reserves. Commissioner Cohen was appointed by the Governor and Cabinet on January 18, 2012. That same year, the Senate failed to take action on his pending confirmation, requiring him to be reappointed. Commissioner Cohen was reappointed by Governor Scott and Cabinet on March 20, 2012 and was confirmed with unanimous approval from the Florida Senate on April 29, 2013 to complete the remainder of a six-year term which extends until June 30, 2014. Commissioner Cohen elected not to seek another term, but has graciously decided to serve in his respective position until July 31, 2014.